How do I connect my sound bar to the TV, BluRay, DVD, and DISH ? S.O.S.!!! Recent purchase of VIZIO M422i SmartTV - over weekend discovered that I need to upgrade modem to utilize 'smart' features (due to WEP, WPA security issues). Will work on that after posting this! Adding SOUND BAR seems impossible; It has NO HDMI (in or out). Sound bar has (connections): marked AUX (1), white, red; marked DIGITAL (3), orange; marked OPTICAL 4; marked AUX (2), black, dig. opt. ; marked USB (6), marked USB. Cables included with sound bar: [I think RCA audio] red, white on one end, single black on the other end; [I think dig. coax] orange connector on each end;; digital optical (TOSLINK) cable. STILL not used on TV: Rear: Audio out, L (white), R (red); Audio out - optical; HDMI - ARC; SIDE: Component: R (red), L (white), Pr (red), Pb (blue), V (green) and HDMI and USB. Still unused on DISH receiver: [For TV-1] Video Out L (yellow), R (white) and Audio R (red); with blue -Y, Green - Pb, Red - Pr; Audio Out - optical; Digital audio output. Pretty obvious that I am NOT tech savvy. On a scale of 1-10, I'm probably in the minus range so, please, I'm a) desperate for feedback/assistance, but I need the crayon, a/b/c versions. 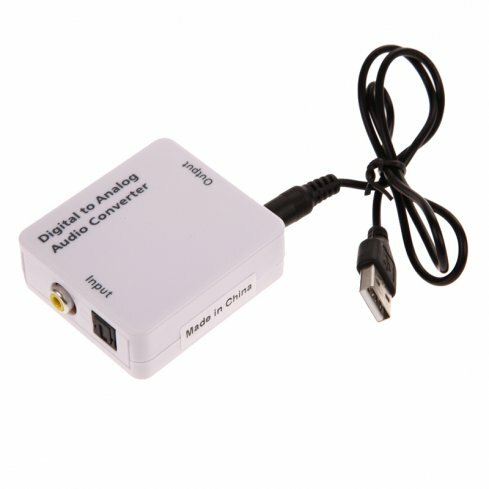 Do I have to connect sound bar to TV AND Dish receiver? and not to DVD? Is some type of connector, adapter or splitter needed? (If so, depending on cost, would I be better off to forget about sound bar, or buy another level up (hopefully one that wouldn't require anything additional)? Or - can this just not be connected?? HOW to connect??? Note: I don't have TV-2 connected right now, there were weeks of problems for installer to get that right . Not something I can face right now - my focus needs to be getting NEW TV and sound bar connected and working properly - or returned while I can still return. The 24K gold-plated, durable connectors ensure long-lasting quality; fully molded connectors provide excellent strain relief. Compatible with all standard coaxial digital audio inputs and outputs on DVD players, DVRs, AV receivers, etc.